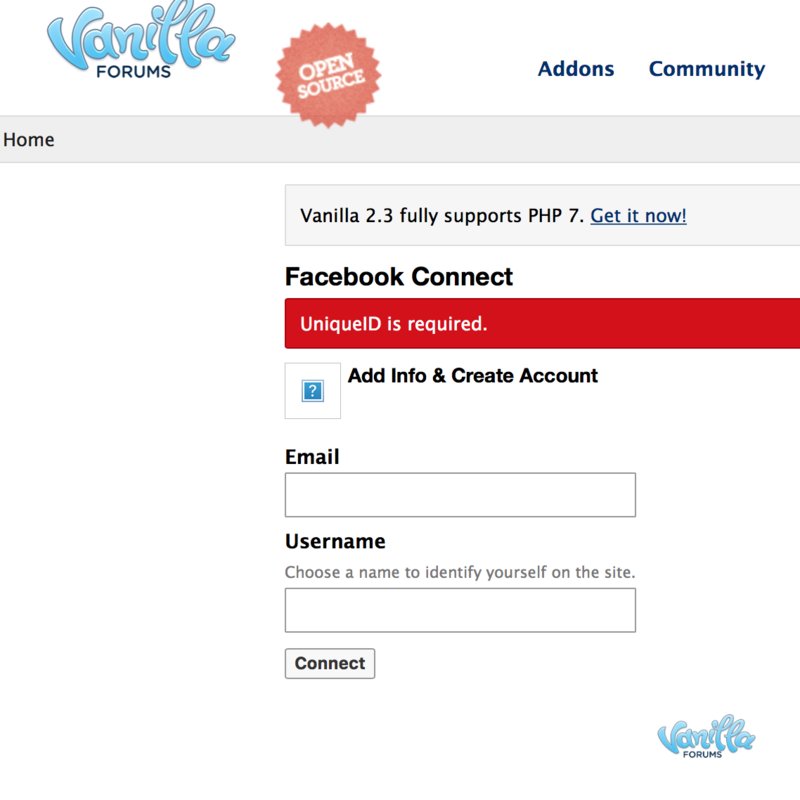 Since yesterday, people can't connect to our forums using Facebook Connect. We are using 2.3 version of Vanilla. The error that I'm getting is the same one I'm getting when I try to connect to this forum using FB. Could you tell me if there's any solution about this? @Linc , could this be related to the sha1 compromise ? Could it be that facebook implemented a change that is affecting connection ? I'm having the same problem with another Vanilla forum. But on this forum I can login no problem. Weird.